Prepping for the return of the Jordan 7 classic. Join us in dubbing 2015 the year of remastered retros, particularly the Air Jordan VII. As this marks the 23rd anniversary (a special number for obvious reasons) of MJ’s seventh signature shoe, Champs Sports comes through in the clutch with a release of the legendary “Bordeaux” colorway that His Airness infamously wore both in this iconic commercial with Bugs Bunny and during the 1992 NBA All-Star Game. 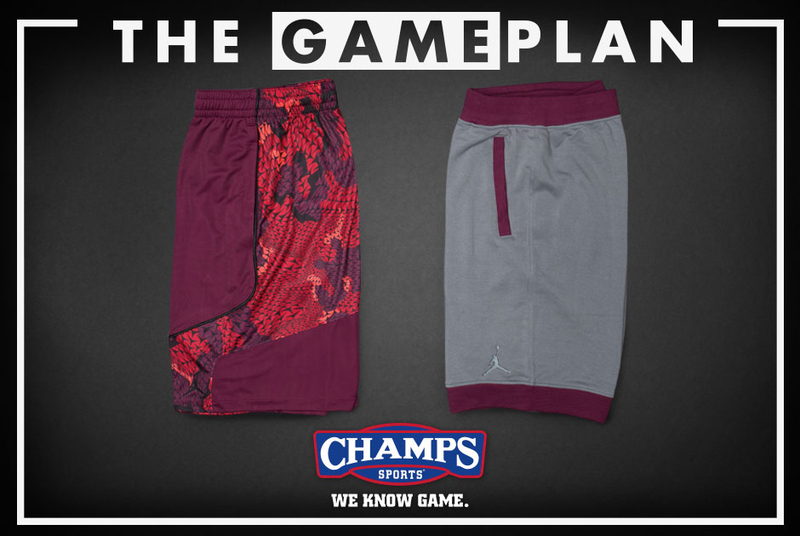 The Air Jordan VII “Bordeaux” is a shoe that has seen more time on the streets than on the basketball court. Aside from that aforementioned ’92 All-Star Game, MJ never actually laced up this particular version on game day, despite having worn countless other colorways of the AJ VII throughout that year. As a result, the silhouette is shrouded in somewhat of a mystery. It’s a shoe adored by all, but one that has been experienced first-hand by few. Part of that has to do with the fact that the shoe wasn’t retroed until 2011, nearly two decades after its initial debut, so not many ‘heads have had a chance to add them to the rotation. With this year’s release of the “Bordeaux,” things might be a little different. 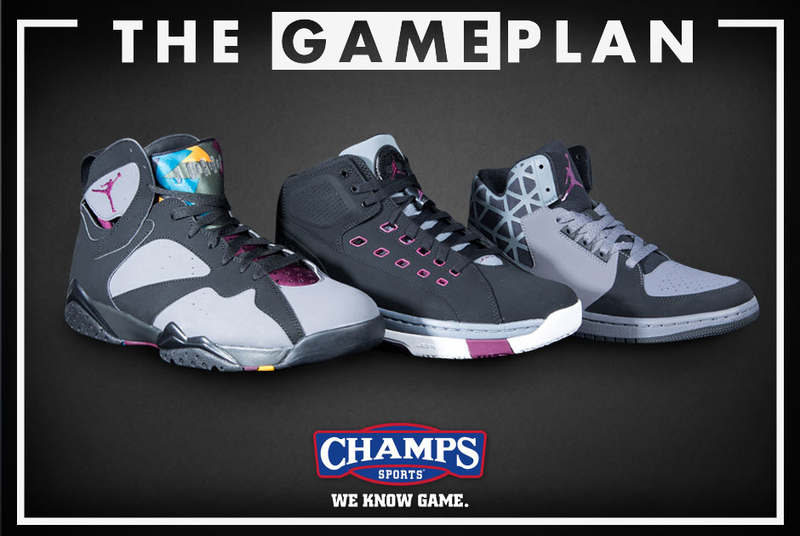 The coveted shoe will be available, along with a collection of matching apparel and accessories, as part of The Game Plan by Champs Sports. So if this one is at the top of your wish list, now might be the time to pull the trigger. Few colors are as elegant and refined as bordeaux—it’s not just a color that looks good in a wine bottle. 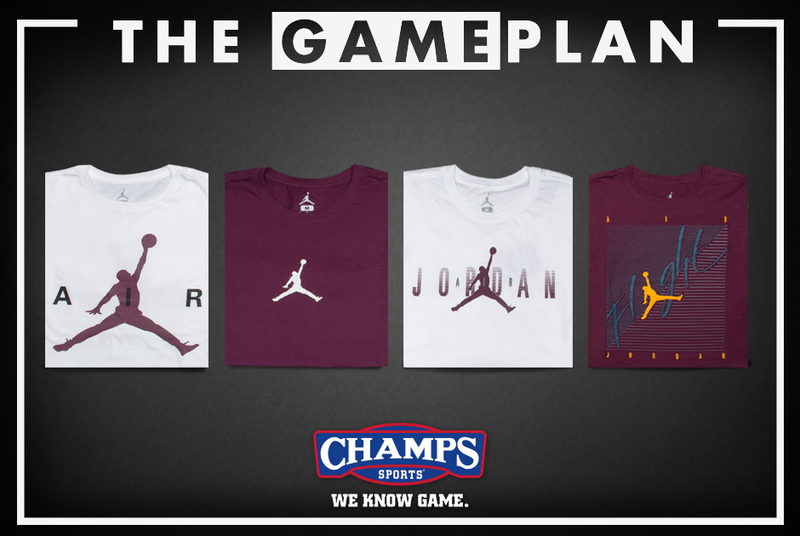 Take a look at these Jumpman tees and you’ll see what we mean. We’re officially dubbing this the color of the summer. All you have to worry about is picking out the shirt that’s right for you. Basketball shorts may not be the go-to choice when it comes to getting down with street style, but they sure come in handy when the summer heat begins to take its toll and you’re ready to ditch the denim for something a bit more comfortable. Here, you have a duo of shorts that will hold it down as the mercury continues to rise. 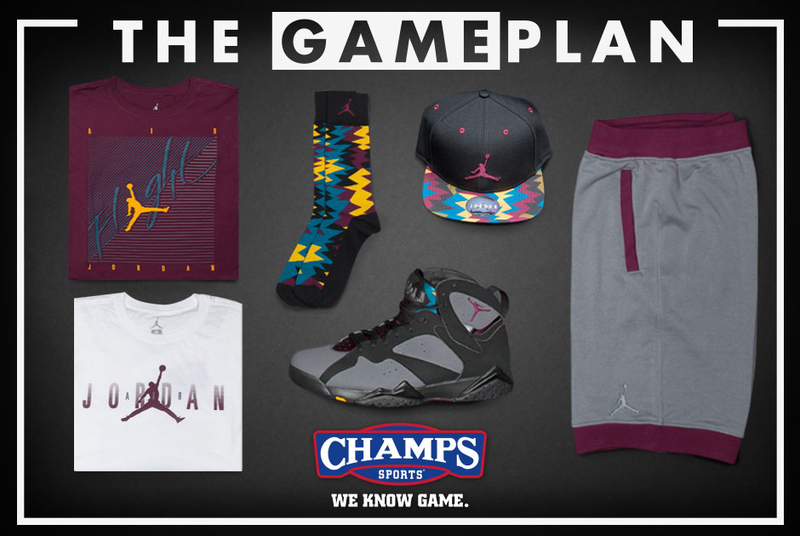 While the Air Jordan VII “Bordeaux” is certainly the centerpiece, the fun doesn’t stop there. The collection comes complete with Hydro Slides and the Jordan 1 Flight 3 to round out your summer rotation. Don’t forget to pick up the matching New Era Bulls cap and the Jordan Retro 7 socks to complete the look.